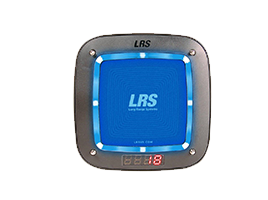 LRS has developed multiple solutions to meet the needs of the retail and service industry. Our solutions help to minimize staff, enhance customer service, and communicate more efficiently. Allow customers to recall staff at any point within the changing rooms potentially increasing your sales as customers are now able to call staff over for advice, different size or even a 'make over'. We have solutions for both customer and staff paging systems for all parts of the retail industry whether its recalling staff from the back for help on the till or customers push for service buttons. 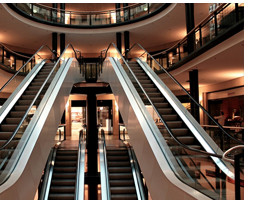 Eliminate the frustration of waiting lines and give your customers more opportunities to shop. Ideal for Returns Department, Service, Gift Wrap and Customer Pick-Up. The coaster call systems eliminates over crowing and lines, recall your customers immediately allowing them to browse the store without missing there order or pickup. Potentially increasing your sales because customers are not tied down to a certain area of the store. Whether it’s in your dressing rooms or other departments, Push Button Paging will give your customers the service they demand while lowering your overhead. With these push for service buttons in the changing rooms it allows customers to have assistance immediately without waiting for a staff member to enter the room. Increase your profitability by allowing customers to call staff, instead of customers not buying a certain item because its too big or too small, customers can now recall staff to get them a different size. Its the perfect solution for changing rooms. Not only are these perfect for changing rooms but also a perfect solution for staff calling for help on tills, instead of staff shouting with this system they can press the button and a member of staff will immediately get the page informing them that assistance is needed on the tills.